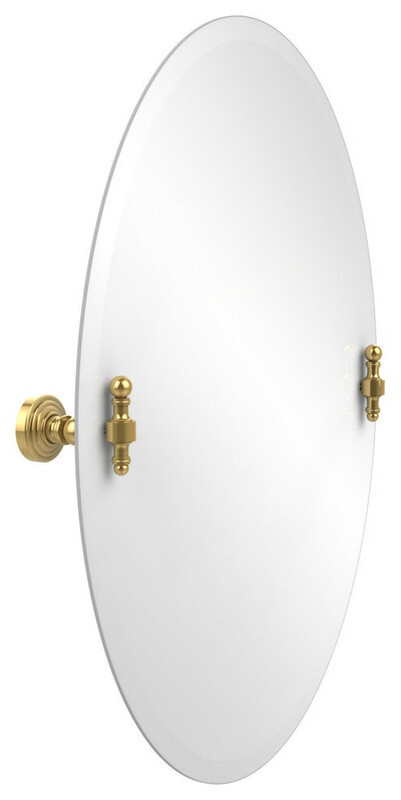 State of the Art simplicity defines this elegantly designed mirror from Allied Brass. Its eclectic yet delicate flare balances any style furnishing from contemporary to traditional. It is the perfect complement for your hallway, living room, bedroom or bathroom. Compliment this mirror with coordinating accessories from the Retro-Wave collection! W 21" / D 29" / H 28"